On Friday April 12, Anne Novak, Executive Director of Protect Mustangs™, asked a Bureau of Land Management (BLM) employee a simple facility question. She wanted to know the mortality rate of captured wild horses at the Palomino Valley facility since January 1, 2013. Rather than provide an easy transparent answer, the employee dismissed her request and told Novak to contact the Freedom of Information Act (FOIA) Office. Novak copied many advocates and members of the media on her second and third request for mortality rate information. She is concerned about the obvious lack of transparency in the BLM’s Wild Horse and Burro Program. The wild horse and burro advocate community now wants to know how many have died at the facility since the beginning of the year. Several advocates have sent the BLM employee emails as a result of his refusal to share basic facility information. Esteemed advocates and members of the public have contacted their elected officials to request government transparency and an answer to Novak’s question. How many horses died at the facility since Jan 1, 2013? Protect Mustangs™ is devoted to protecting native wild horses. Our mission is to educate the public about the native wild horse, protect and research American wild horses on the range and help those who have lost their freedom. The public feels their written comments are not taken into consideration by BLM. Stakeholders want to participate in the Wyoming RAC meeting giving oral comments using technology such as a teleconference or Skype to foster the public process. 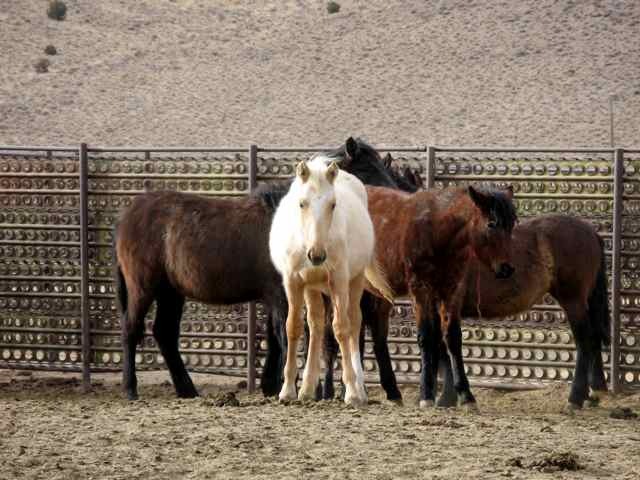 Protect Mustangs is circulating a petition requesting the BLM use communication technology to allow oral comments. Below is the formal request to include the public in oral comments using communication technology and Livestream the controversial meeting. The public is up in arms that such an important opportunity for public comment is being held in a remote area without the ability to make oral comment using technology to bridge the distance. Most people have jobs that prevent them from traveling to Rock Springs, Wyoming to spend the night and speak at 8 a.m. the following morning. The cost of traveling to your location is also excessive. I’d like to ask you to please find a way to engage all the stakeholders in oral comment and allow enough time for this to occur. We’d like to go on the record to ask you, as an act of good faith, to facilitate the public’s wish to comment orally by implementing a teleconference during the comment period or allow stakeholders to comment orally via Skype. We request you LiveStream the 2 days of meetings to show you are engaging in transparency. The Bureau of Land Management (BLM) Wyoming Resource Advisory Council will meet Wednesday, Feb. 6, Thursday, Feb. 7, and Friday, Feb. 8, at BLM’s High Desert District, Rock Springs Field Office, 280 Highway 191 North, Rock Springs, Wyo., in the Pilot Butte Conference Room. The meeting is open to the public. The meeting will begin on Wednesday at 1:30 p.m. at the Rock Springs Wild Horse Holding Facility on Lionkol Road. The meetings will begin at 8 a.m. on Thursday and Friday at the Rock Springs Field Office. Planned agenda topics include a discussion on checkerboard land ownership, landscape scale partnerships, invasive weeds, trails and follow up from previous meetings. The public comment period will be Feb. 8, at 8 a.m. Interested persons may make oral comments or file written statements for the council to consider. Depending on the number of persons wishing to comment and time available, the time for individual oral comments may be limited. If there are no members of the public interested in speaking, the meeting will move on to the next agenda topic. The purpose of the council is to advise the Secretary of the Interior through the BLM on a variety of issues associated with public land management. For more information contact BLM RAC Coordinator Cindy Wertz, (307) 775-6014. The BLM manages more than 245 million acres of public land, the most of any Federal agency. This land, known as the National System of Public Lands, is primarily located in 12 Western states, including Alaska. The BLM also administers 700 million acres of sub-surface mineral estate throughout the nation. In Fiscal Year (FY) 2011, recreational and other activities on BLM-managed land contributed more than $130 billion to the U.S. economy and supported more than 600,000 American jobs. The Bureau is also one of a handful of agencies that collects more revenue than it spends. In FY 2012, nearly $5.7 billion will be generated on lands managed by the BLM, which operates on a $1.1 billion budget. The BLM’s multiple-use mission is to sustain the health and productivity of the public lands for the use and enjoyment of present and future generations. The Bureau accomplishes this by managing such activities as outdoor recreation, livestock grazing, mineral development, and energy production, and by conserving natural, historical, cultural, and other resources on public lands. Yesterday we took your comments to the hearing, requesting BLM reschedule the Carson City helicopter hearing with adequate public notice and comments against helicopter roundups, etc. Photographer and honorary board member, Cat Kindsfather, hand delivered them and spoke on behalf of Protect Mustangs as well as the American public. Kindsfather brought up the fact that people across the country wanted to participate in the public process but there was not enough notice given. At the meeting, BLM announced they would extend the comment period. Comments can be received no later than June 12, 2012. Only comments sent to the address, email or fax number identified below will be accepted and “considered”. Comments submitted to BLM must include your address, phone number, email, or other personal identifying information in your comment. Please be aware your entire comment–including your personal identifying information–may be made publicly available at any time. While you may request we withhold your personal information from public view, we cannot guarantee we will be able to do so. Please copy us on all the comments you send the BLM so we can keep a record of the comments received to watchdog this faulty process. We will send the Carson City District Office all the comments on your behalf that you have sent us after 7 a.m. May 29, 2012 to ensure your comments are received. We continue to ask for the Carson City hearing to be rescheduled to allow oral comments and for the public to be given 30 days notice for any other BLM public hearings. Denying the public their right to be present and comment at a public hearing shows the BLM has no intention of engaging the American public nor do they want to be transparent. The NBC affiliate, KRNV Reno News 4, attended the public hearing and reported on wild horse advocates say BLM jeopardized public process. Thank you for sending in your comments. Now tell your friends about what is going on and invite them to send in comments against the use of helicopters and motorized vehicles as well. WASHINGTON (February 10, 2012)—Protect Mustangs asks Secretary Salazar, overseeing the Bureau of Land Management (BLM), to replace the pro-slaughter appointment of Callie Hendrickson, for the ‘General Public’ position on the Wild Horse and Burro Advisory Board with a neutral person. Hendrickson has a history of lobbying in support of slaughter and zeroing-out wild horses. Protect Mustangs is concerned that the BLM has given the green light to plans to kill and slaughter the more than 50,000 American wild horses taken off the range as revealed in secret documents including one found on Wikileaks. The preservation group and members of the public are gravely concerned the BLM is preparing to kill the 50,000 wild horses in holding according to secret reports from 2008 discovered by Dr. Pat Haight, President of the Conquistador Equine Rescue and Advocacy Program’s FOIA research. The report reveals planning for massive wild horse sales to slaughter and euthanasia on an epic scale that will wipe out the American wild horse. Protect Mustangs recently learned about a Wikileak document titled Federal Lands Managed by the BLM and Forest Service issued to the 110th Congress in February 2009 discussing how to “dispose” of wild horses. “In destroying the last wild horses, the U.S. government’s BLM is continuing to destroy the planet,” states Michael Blake author and Academy Award-winner for Dances with Wolves. Protect Mustangs wants the BLM to honor their promise of ‘a new direction’—not continue to break the public’s trust. By taking the majority of wild horses off the land at great taxpayer expense, BLM created a fiscal problem. Some ask if it was to ‘help’ big business’ land grab. Now the mustangs are in the care of the BLM and killing them or selling them to slaughter is not supported by the American people. Protect Mustangs is an nonprofit organization who protects and preserves native and wild horses. 1.) We are very concerned about the lack of transparency at roundups. Keeping visitors miles away from the trap site is unacceptable. In 2009 and 2010 members of the public and media were allowed closer access to document the roundups. Why has this policy changed? 2.) We want to go on the record to ask that the canvas on the metal corral panels—blocking the ability to see inside the trap site even from a distance—be taken down. It appears the BLM shrouds the mustang removals in secrecy and does not want the media or public to see what is going on when wild horses are captured. This protocol is very upsetting to members of the public. Will BLM take down the canvas tarps blocking media and public visibility to document the roundup? 3.) We would like to see a burro expert on site to prevent animal cruelty at taxpayer expense. Will a burro behavior expert be on site every time burros are being rounded up and transported so the cruel hot-shotting incident at Calico will not be repeated? 4.) The American public wants all roundup-related deaths to be counted correctly. If a wild horse—enjoying life out on the range—is removed from the range alive and BLM kills it because it is “old” or for whatever other reason this needs to go on the record as “roundup related”. The horse would have continued to live for some time if the BLM had not rounded it up. Will the BLM attribute the death of wild horses as “roundup-related” for a minimum of 30 days from their capture? 5.) 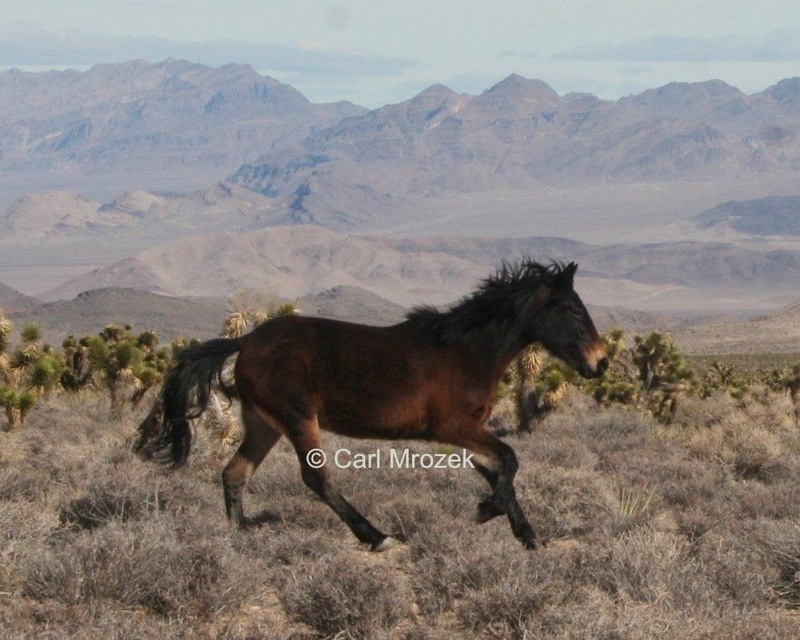 We also want to go on the record asking for BLM to hold all aspects of capture, temporary holding, processing and adoption on public land—giving reasonable access to the media and the public—as an act of good faith to show the global community that the Wild Horse and Burros program has taken the new direction the courts are expecting the BLM has taken. Will you hold all aspects of the roundup, holding, processing and adoption on public land to build trust with the public? Rounding up healthy wild horses illustrates fiscal irresponsibility during America’s economic crisis. The overpopulation myth was created by BLM to justify spending millions of tax dollars. In 1900, 2 million wild horses roamed the West. Today, Protect Mustangs believes less than 20,000 exist in the ten western states combined. The preservation group urges interested people to contact the Tonopah BLM to adopt a wild horse or burro at the roundup site. Their office telephone is 775-482-7801. Protect Mustangs is a Berkeley-based preservation group whose mission is to educate the public about the American wild horse, protect and research wild horses on the range and help those who have lost their freedom. Photos, video and interviews available upon request.